Ireland is well known for being host to a large number of global companies like Google and Intel, but the country could fast become a hub for high performance startups thanks to a growing culture of creativity and innovation and the support of events like the Startup Gathering. Startups are vital for pushing innovation and establishing Ireland as a global tech hub for big and small businesses alike. Of course, all new ventures start with an idea, so what better place to get a sense of the best and brightest Ireland has to offer than the Irish Invent Showcase, which took place from October 5th – 10th as part of the Startup Gathering celebration. 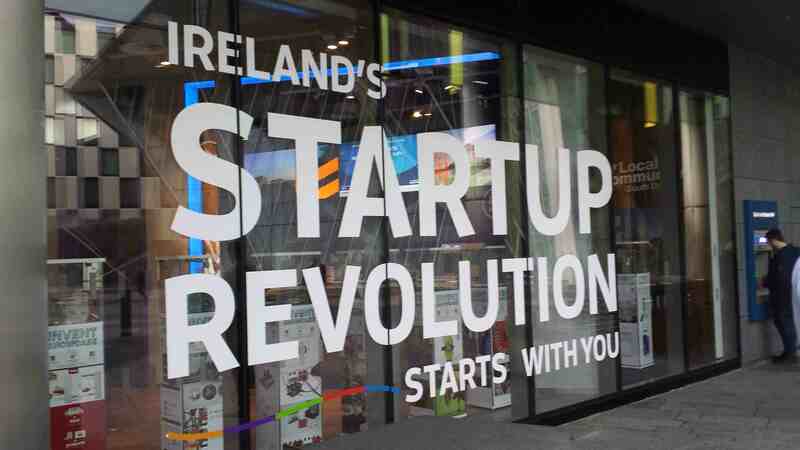 The showcase is held in the stylish No.1 Grand Canal Square with glass windows emblazoned with “Ireland’s startup revolution starts with you”. Inside, the products have been given their own exhibition stands, with a clear top to display each product in all it’s glory. The sides of the exhibitions tell the stories of the ideas, people and inspirations behind these exciting Irish inventions. For example IoT (Internet of Things) designed Drop which is a smart cooking scales that links to your iPad and MooCall Sensor; hardware that attaches to a mother cow to alert the farmer she is about to give birth. 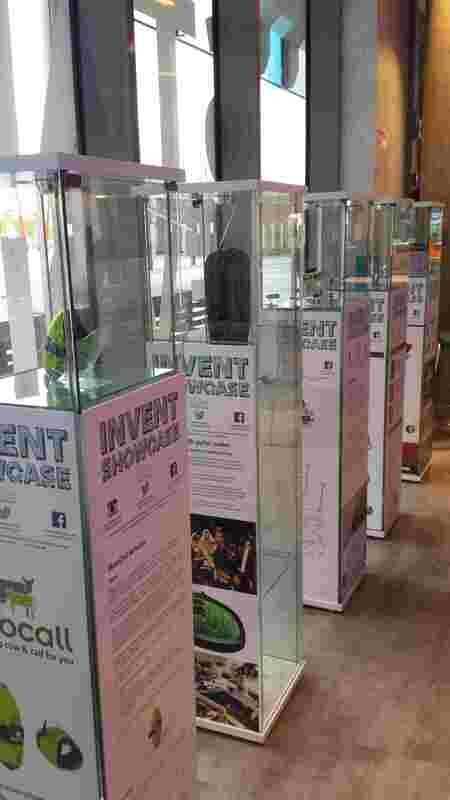 The exhibition highlights the growing importance of technology in Ireland’s business landscape -all of the products on the Invent Showcase stage highlight that magic spot where ideas meets technology to create cutting edge new products. Take Sugru, the mouldable glue that turns into flexible rubber, which uses silicone technology to make fixing, modifying and making things a breeze. The unassuming little product is a technical marvel – it can be stuck and shaped and is stable at high and low temperatures. But give it 24 hours, and it turns into a durable, flexible rubber that stays stuck – and is completely waterproof. Or the Scriba Stylus. Much more than just an ergonomic digital pen, the stylus’ flexible body uses a ‘squeeze-motion’ technology that allows users to switch functions or adjust line-weight continuously while drawing or writing; from fine-line to broad brush stroke. Such innovations put Ireland’s on at the heart of technological trends, while going a long way to prove Ireland has what it takes to be a global tech hub. Drop: a smart cooking scales that connects to an iPad wirelessly. MooCall Sensor: hardware that attaches to a mother cow to alert the farmer she is about to give birth. Res Med S+: a smart sleeping monitoring device. Scriba Stylus: a creative design electronic drawing device for the iPad. PatchBlocks: programmable mini-synth sound modules. Sound Bounce: hearing protection for industrial type headsets. Expressive Midi Guitar System: plug and play digital sounds via a real customisable guitar. Sugru: mouldable glue that turns into rubber for DIY fixes. LumaFit: cardio heart rate monitor and workout session analysis tool. Most of these Irish designed consumer products are commercially available or soon to launch, some of them on a global scale. Crowdfunding is the practice of raising funding for a project or venture by raising many relatively small amounts of money from a large number of people, typically via the Internet and it’s gaining momentum. It has been lauded as an increasingly viable option for finance for new ventures in modern economies, reflected in the fact that it has played a part in the development of several of the Invent products. Many of them have had major success on crowdfunding websites such as Kickstarter – one of the best known crowdfunding sites. For example, In 2013 PatchBlocks raised £67,090 from 918 backers for their innovative modular synthesiser. More recently, Scriba Stylus raised an impressive €66,458 to help bring their project, detailed earlier, to life. That being said, the support of local agencies are still the cornerstone of startup support in Ireland, and the majority have been supported by Enterprise Ireland. Some have also been invested in by major companies such as PCH, SOS Ventures and BOI Kernel Capital. The Startup Gathering last week highlighted that there are plenty of ways to raise funding for startups through enterprise boards and angel investors however more often than not funding for scaling up is often sought overseas, venture seed funds required for high capital startups to scale simply to do not exist in Ireland. Of course, it takes more than just an innovative product to create an efficient business. The IT infrastructure of a new venture is vital in ensuring success in a modern, always connected business landscape.They need the resilience and flexibility of their ideas to be reflected in their IT infrastructure. Magnet’s Office in a Box solution offers everything a new business needs to hit the ground running smoothly so they can focus on what’s important to them. Office in a Box includes broadband, voice, domain name registering and Wi-Fi. The Startup Gathering is more than just a celebration of the Irish startup industry. The aim is to drive real change – creating better networks, connections and collaborations all across the sector – with the goal of making Ireland a global startup Hub by 2020. Magnet are proud to be supporting these businesses which are so vital to the Irish business landscape.